As a dog owner, you’re always trying to find a new snack to give your staffy; they always seem extremely happy or intrigued when you give them something new. However, it can sometimes be worrying if you're unsure which "human" foods are suitable for dogs. Ufortunately, this means your dog might miss out on some super-nutritious foods that they could love. 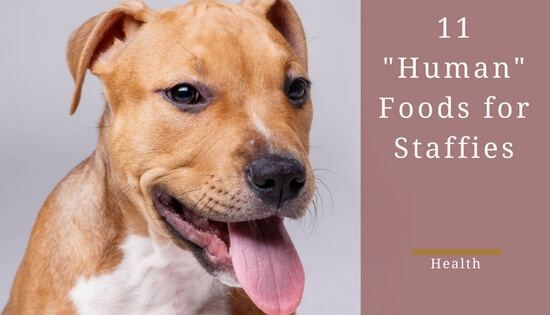 Continue reading this article to discover eleven healthy, so-called "human food" treats that you can give to your staffy without worrying about negative health effects. As an old favorite of dog owners, peanut butter’s extremely healthy for your staffy through being full of protein, niacin, healthy fats, vitamin B and vitamin E.
Another benefit of peanut butter’s you can put it inside toys like kong shells that will keep you’re your staffy occupied for hours; this is especially helpful for when you leave your home for a long period of time. In terms of which peanut butter to get, unsalted, natural peanut butter’s the best because the extra sodium isn’t a great thing for your staffy to ingest. As another important note, make sure the peanut butter you give your staffy doesn’t contain Xylitol (natural peanut butter shouldn't); it’s extremely bad for dogs and in some cases can cause death. Check the peanut butter’s label for this ingredient. On a warm summer day, you should consider giving your staffy some natural yoghurt. It is cool and refreshing plus it contains a lot of protein, calcium, and digestive cultures that are a great way to improve your staffy’s digestive system. Furthermore, yoghurts with active bacteria can act as a probiotic and will improve your staffy’s digestive system. However, just like with peanut butter, it’s important to make sure the yoghurt is non-fat and has no added sweeteners. Unfortunately, some yogurts also contain Xylitol; so, again, it’s important to read the label. If you’re looking for a vegetable to give your staffy, look no further than some green beans. They’re high in fiber while low in calories, making them an effective snack to help your staffy lose weight if he/she needs to. Furthermore, green beans are high in iron and vitamins, which makes them a great snack to keep your staffy healthy. Also, the fact that they crunch when you eat them could create some extra fun for your staffy. However, make sure to avoid giving your staffy green beans that are cooked with spices, oils or even other harmful vegetables such as onions and garlic. Of course, avoid giving your staffy whole green beans as they can be choking hazards so it is best to cut them into more manageable portions. High in omega-3 fatty acids, salmon can be a very healthy treat for your staffy; omega-3 fatty acids support the immune system, while, benefiting your staffy’s coat and skin. 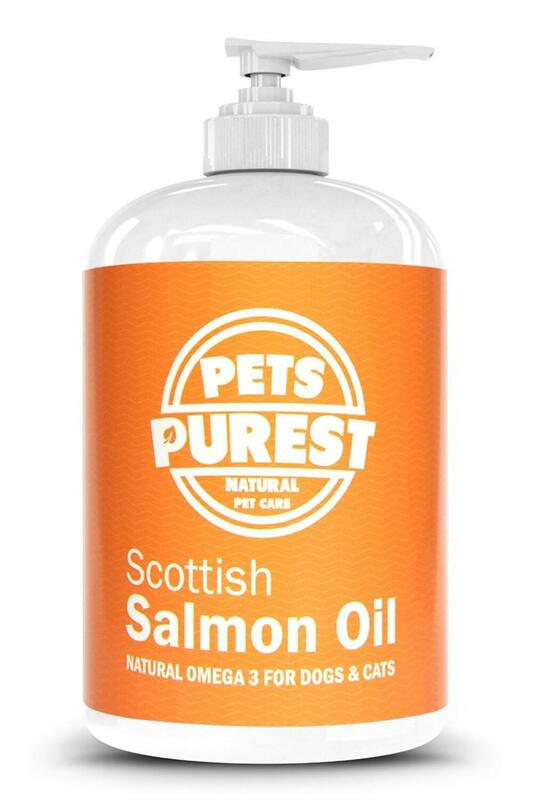 In fact, salmon is usually the fish used to make fish oil supplements for pets since it’s considered extremely healthy for your staffy. Unseasoned salmon or even some fish oil capsules should provide your staffy with a nice hit of healthy fats. However, don’t give your staffy uncooked salmon because it can be fatal for them through contracting salmon poisoning disease. Additionally, check for bones before cooking the salmon because these tiny bones can become choking hazards for your pup. Oats are full of fibre to help your staffy with their digestion making it smooth and comfortable. Oatmeal is a whole grain, which is much better for staffy’s health than refined grains. If your staffy’s sensitive to wheat, which some are, oats are a great alternative to use. Also, porridge oats are full of omega-6 fatty acid, which is great for your dog's skin. However, it’s important to feed your dog oats in moderation. For example, adding a spoonful to your dog’s regular food can be a good way to help them gain some of the benefits of it. It's also to be noted that you should avoid using flavoured porridge oats or oats with additives; stick to the plain, natural stuff. Apple slices are an excellent way to help your dog clean residue off their teeth effectively giving them healthier teeth and better breath. There aren't many dogs in the world who wouldn’t benefit from having better breath. In addition, apple slices are rich in fibre, along with vitamin A and C. However, you need to take the seeds and core out of the apple slices to prevent your staffy from choking. Apple seeds also contain cyanide and, with constant exposure, can have hazardous effects on your staffy's health. As with any food on this list, moderation is key; these foods are supposed to be for special occasions or a way to make your dog's snacks and treats more interesting and healthy. If you want to give your staffy a little snack, a blueberry is an extremely healthy choice. 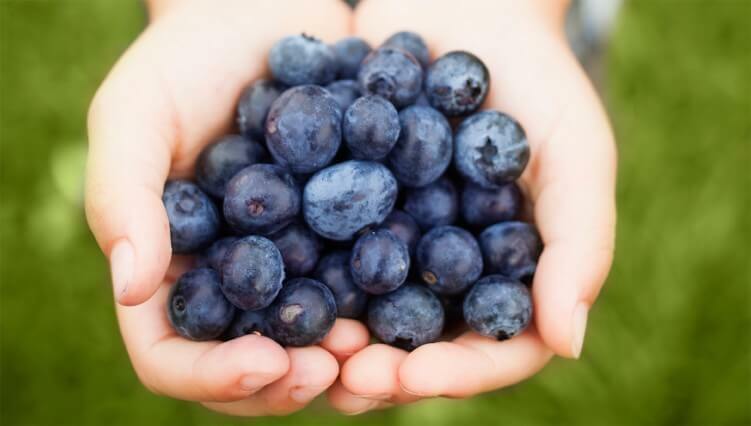 Blueberries are full of antioxidants, fibre and phytochemicals that help boost your staffy’s health. Antioxidants help fight against free radicals that will damage your staffy’s immune system. At the same time, studies show that antioxidants reduce the effects of brain aging; owners with older staffies should definitely add some blueberries to their staffy’s diet. It’s also a bonus that blueberries are low in calories. All in all, there are a whole lot of health benefits to adding these little treats to your staffy’s diet. You can even freeze them for an added crunch sensation that dogs tend to love. If your staffy’s having digestive issues, canned pumpkin is a great way to help them deal with those issues. You see, pumpkin is another food that's full of fibre and also beta-carotene, which both have numerous benefits for your staffy’s health. On top of that, pumpkin contains a lot of antioxidants, just like blueberries, which reduce the effects of brain aging and lower the risks of a number of illnesses. As yet another bonus, pumpkin contains an immense amount of vitamin C which helps your staffy’s immune system. 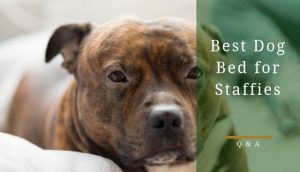 As with many of the other foods on this list, it is important you don’t give your staffy a lot of pumpkin because the beta-carotene converts into vitamin A, which can be toxic for dogs in very high doses. It’s best to add a few tablespoons of canned or fresh pumpkin to their regular food. That way, you can moderated their intake while still allowing them to benefit from the added nutrients. As long as your dog isn’t lactose intolerant, cheese has some wonderful health benefits for them. For instance, cottage cheese is a great option because it’s high in protein and calcium; it’s also easy for them to digest. 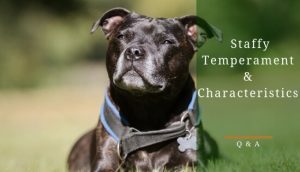 In addition, it can be very helpful when trying to feed a picky staffy their medication or pills; it can easily disguise the pill your staffy doesn’t want to take as a fun snack. 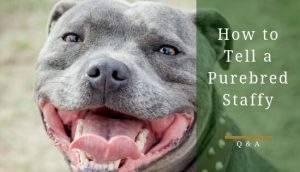 I know a lot of staffies, mine included, that love cheese so it can be a very helpful tool for training them; it can help motivate them during the training process. However, be sure not to overfeed it to them because most cheeses are high in fat, which means higher in calories. As lean meat, chicken’s considered extremely healthy for your staffy. 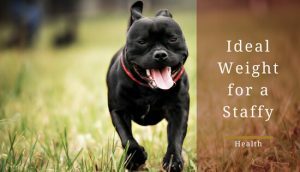 It provides a lot of protein without a high-calorie count; therefore, will be a good source of energy without making your staffy gain weight. In addition, chicken has omega 6 fatty acids that are good for your staffy’s skin and will help them get a shiny coat. Chicken’s also a great source of amino acids which helps your staffy’s bone health. 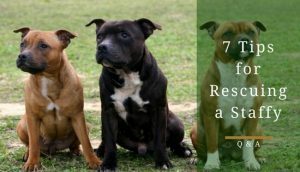 If going for a raw food diet, you should consult a vet before feeding uncooked chicken to your staffy because uncooked chicken can give your staffy salmonella in certain situations. Make sure to never feed your dog cooked chicken bones; they can splinter and become choking hazards. Watermelon is a nutrition goldmin and staffies seem to love it (see the video from YouTube below), but it does come with a couple of important caveats for dogs. Firstly, they should not be allowed to eat the seeds since they can cause some gastrointestinal problems such as blockages for your dog. Allowing them to chew or eat the rind is also not a good idea as it may upset their stomach as well. Secondly, it is important to ration the amount of watermelon your dog eats; think of it as a light, healthy treat. This is because it may stimulate bowel movements in some dogs and cause diarrhea. As with any dietary change, look out for how your dog reacts to it. On the plus side, watermelon is over 90% water so is extremely refreshing and hydrating for your pup. Additionally, watermelon contains potassium and vitamins A, B6 and C, which makes it a nutritious option for dogs. Hi Myla, thanks for your question. Carrots are fine for dogs. They provide some good vitamins, fibre and are low in calories. Most dogs also really enjoy them. We’ve used tiny pieces of carrot as puppy training rewards in the past since it isn’t a good idea to give a puppy to many factory-made treats; that worked really well. SmilingStaffy.com is a participant in the Amazon Services LLC Associates Program, an affiliate advertising program designed to provide a means for sites to earn advertising fees by advertising and linking to Amazon.com. 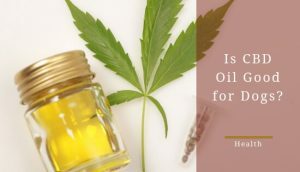 Additionally, SmilingStaffy.com participates in various other affiliate programs and we may get a commission through purchases made through our links. 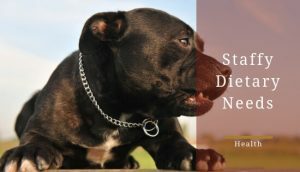 SmilingStaffy.com does not intend to provide veterinary advice and the information on this site should not be treated as such. 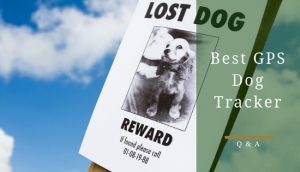 While we put great effort into providing accurate content, it should not be used as a substitute for the advice of a registered veterinary professional.